What company would ask its customers to buy less of its product and, at the same time, promptly increase prices? That dubious distinction goes to Eskom. The parastatal has increased its prices to improve the supply and distribution of electricity, yet pays large companies to buy less of it through a buyback programme and appeals to everyone else to save power. Frequent electricity outages were a regular occurrence across the nation in 2007/2008 and continue to this day, albeit to a lesser extent. A rather dubious “positive spinoff” of the Great Recession misled us for a while. The global economic downturn had the effect of reducing the demand for electricity in SA, which relieved some of the burden on our constrained supply. However, our economy is recovering and demand is increasing again. If government does not allow independent power producers (IPPs) to assist in generating the necessary electricity and we are left to rely on Eskom, industry and households will once again be faced with severe shortages. The increasing demand for electricity has prompted Eskom to ask customers to cut their usage — targeting the demand side of the market while, in an effort to try and increase supply, it scrambles to find funding for its colossus build projects at Medupi and Kusile, which are expected to cost R124bn and R111bn respectively. Meanwhile, the cost of electricity has risen precipitously with the latest hike of 16% coming into effect on 1 April 2012. This was the third large increase in as many years, after increases of 24,8% in 2010 and 25,8% in 2011. The cumulative effect of these increases amounts to more than 82%. How did such a mismatch between demand and supply come about? The SA government has been aware of the looming crisis since the mid-1990s at least but has, as yet, not added a single new generating plant. The consequences of this inaction were first felt across the nation in 2008 when Eskom introduced “load shedding”. But electricity forms the cornerstone of any modern economy and is essential for the ordinary running of households and businesses. The ability to produce a regular constant supply, without any fluctuations, is also essential for promoting and attracting investment. The time for a fundamental overhaul of Eskom has long passed. SA ought to follow the rest of the world and deregulate its electricity market. Electricity, like any other commodity, can be bought and sold. Certain characteristics “complicate” the transaction but are not insurmountable. For example, electricity cannot be stored, yet must be available on demand. There is also the mismatch between demand and supply. To overcome this issue, there has to be an independent transmission-system operator to co-ordinate the dispatch of electricity supply to meet the expected demand of the system across the transmission grid. 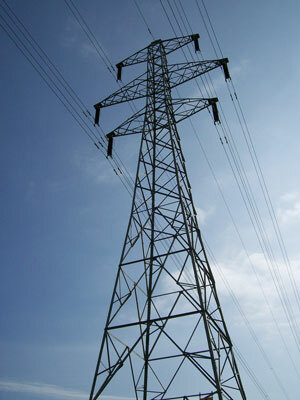 Eskom, effectively, has a vertical monopoly on the entire system from generation to transmission and a large part of the distribution of electricity. This old, outdated model is slow to respond to changing circumstances. As a result, consumers are left in the dark and asked to consume less electricity during peak-demand periods. The basic actions that need to be undertaken to address this crisis are to separate the generation from the transmission and distribution of electricity to make trading possible, including the sale of electricity across the grid from generators to large consumers (wheeling); and to establish competitive wholesale and retail markets. Eskom should be broken up into its various parts. 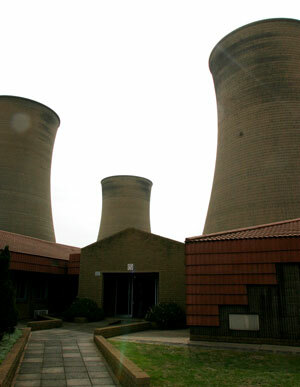 Initially, it could divest itself of all or part of the transmission grid in order to generate funds to pay for the building of its new Medupi and Kusile generating plants. It could also sell some of its generation plants as was at one time proposed by government. A wholesale electricity market will exist when competing generators are allowed to offer their electricity output to competing retailers. The wholesale market would allow trading between generators, retailers and other financial intermediaries for both the short-term and future delivery of electricity. Wholesale transactions typically will then be cleared and settled by the transmission-grid operator. Once end-user customers can choose their supplier/s from various competing electricity retailers, a retail electricity market exists. The Australian electricity market demonstrates that there should be no price regulations that interfere with its proper functioning. For example, with regard to retail price regulations, Australia’s draft energy white paper states: “The Australian government recognises that retaining regulatory control over retail prices … continues to be an area of unfinished and necessary reform [with jurisdictions committed]… to the removal of retail energy price regulation/s”. Australia therefore intends to accelerate the process of retail competition in electricity wherever residual regulatory barriers raise costs. In Victoria, there is already a fully deregulated retail market with no price regulations. Already, too, competition drives the wholesale generation component of electricity supply in Australia. More than 30 separate generation businesses supply the National Electricity Market, the largest supplier having a mere 14% market share. Ample evidence from around the world shows that fully deregulated electricity markets work best. The SA government needs to take urgent steps to unbundle Eskom to secure our energy future. If it does not, the very dim light at the end of our tunnel could very well be extinguished altogether and leave us all in the dark. Jasson Urbach is an economist with the Free Market Foundation. The views expressed in the article are the author’s and are not necessarily shared by the members of the foundation.